Your behavior tells a story to the world around you. What story are you telling? This idea, that your attitude/behavior sends a more powerful message about who you are, what you believe and how you feel than your words ever will, is something I prize in my life. And like most humans I fail miserably at displaying my true inner thoughts and feelings through my actions. Though I feel intense love for my little family, it’s far too easy to let my frustrations with a momentary, temporary problem manifest rather than the love that I feel more powerfully. 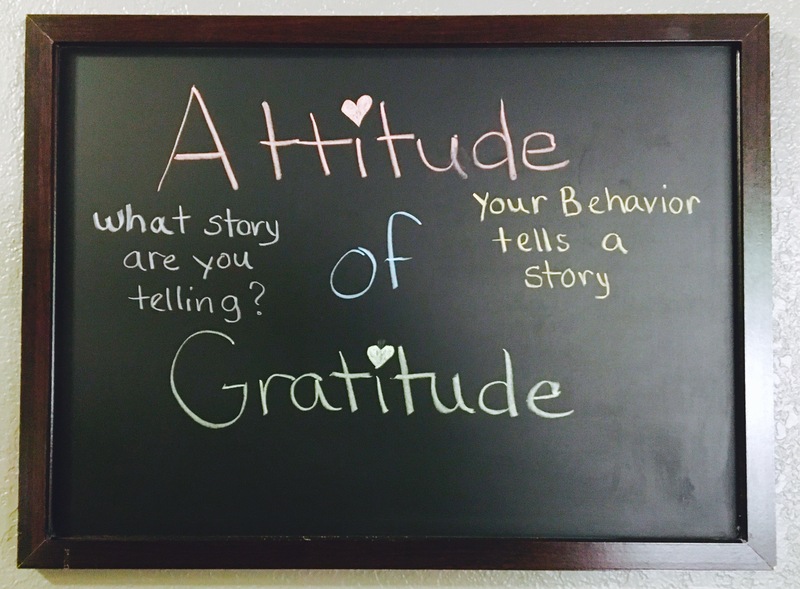 Therefore, in an effort to remind myself and my family to display an attitude of love and thankfulness, I have changed my chalkboard to the above photo. Maybe if I have to read that everyday for a while, I’ll get it.